First aid helps you handle an injury, illness, or other emergency, making a frightening situation a little less so until help can arrive. But there are some misconceptions about first aid treatments out there that aren’t just wrong—they’re downright scary. Here are a few of the most egregious myths and misunderstandings out there about how to treat various injuries and illnesses—and what to do instead. For some reason, the idea that you can put butter—or antiseptic cream, or Vaseline, or some other greasy substance—on a burn is a common misconception. 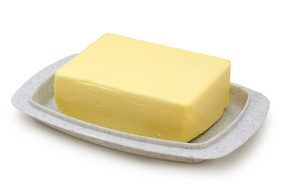 Actually, putting butter on a burn can cause an infection and make it harder to treat in the hospital. What you should do immediately with a burn is try to cool the skin down by running cold water over it. You can also use other cold liquids, like milk, if you don’t have cold water available. But butter does nothing for a burn, and neither will milk if it isn’t cold. Sure, this stops the blood from running out of your nose. But it can also cause the blood to run down your throat, and if you have a really bad nosebleed, you can choke on the blood. Instead, tilt your head forward and pinch your nostrils together for a long time—about ten minutes. 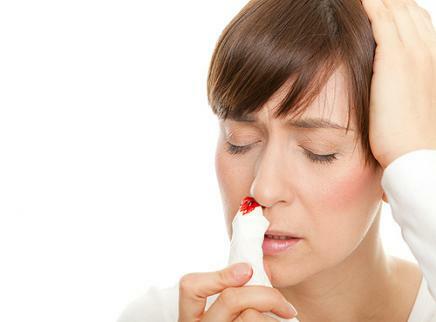 Most nosebleeds are caused by dryness or cuts in the mucus membranes inside the nose, and holding them together can get the blood to coagulate and stop running. Breathe through your mouth while you do this. Throwing up something poisonous could make things worse—such as burning your throat, blocking your breathing, or emptying your stomach just enough to make the rest of the poison left in it absorb faster. 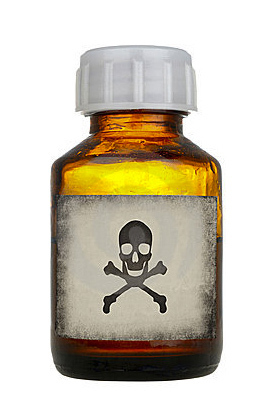 Every poison is different, so you should immediately call the Poison Control Center (800-222-1222) if you or someone with you swallowed poison, and get their instructions on what to do while you wait for emergency services to arrive. If you’re choking on something—or someone near you is—it can be tempting to try and reach down into their throat to retrieve whatever’s causing it. Don’t—you could lodge the object deeper or irritate the airway and cause it to swell, making the problem worse. Stand behind the choking person and put your arms around their waist. With one hand, make a fist. Place it against the person’s navel below the breastbone, with the thumb side toward their body. Cover the fist with your free hand, and thrust upward and inward. Keep going until the object dislodges or until the person faints. This procedure is for conscious adults and children over the age of 1. You can also perform the Heimlich maneuver on yourself, by either using the same technique or bending over a chair or railing. This is a fairly common misconception—that epilepsy victims can choke on their own tongues, and that you need to keep the tongue out of the airway. Actually, putting anything in an epilepsy victim’s mouth—including your hand—can block their airway and make it hard for them to breathe. It’s also a bad idea to put an object such as a piece of wood or cloth in an epilepsy sufferer’s mouth to keep them from biting their tongue. The big danger with an epilepsy seizure is that the victim could hit their head or hurt themselves with the violence of the seizure. If someone around you experiences an epileptic seizure, call 911 immediately—and try your best to keep the person safe by moving furniture and other objects out of the way. A tourniquet is a bandage wrapped extremely tightly around a limb. It does stop bleeding, but it’s an extreme solution that stops all blood flow to the injured limb—not just blood flowing to the wound. Tourniquets can cause very serious damage to the limb, even to the extent that the limb would need to be amputated. Tourniquets are often used in battlefield situations, but should not be used in less extreme situations by people with no medical training, except in cases of absolute last resort. A better approach is to place layers of sterile cloth, bandages, or gauze over a wound and apply direct pressure, wrapping it securely to keep the pad in place. 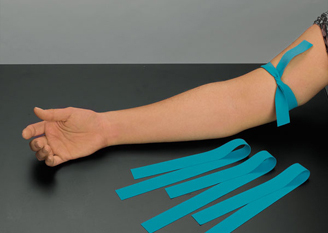 This can either stop the bleeding or stem it long enough to get medical attention, without cutting off blood flow to the entire limb. Putting a heating pad on a sprain or strain might sound like a good idea, but actually it can make the situation worse. When you heat an area of your body, your blood vessels relax, allowing more blood to flow to the area. This is a natural reaction meant to cool your body down. However, with an injury such as a sprain or strain, the area is already swelling because of the injury—so heating the area will just make the swelling worse. Instead, you should do the opposite—ice the swelling. Be sure to put cloth between the ice pack and your sprain, however, to prevent frostbite. Frostbite occurs when the water in your skin cells freezes. This causes serious damage to the cells and even widespread cell death in the worst cases. If you think you have frostbite, it might be tempting to try putting the affected area in hot water to warm it up quickly. But this can make the damage worse. Instead, warm the area gradually using luke-warm water. Many of us grew up with our parents putting antibiotic ointment on our cuts and scrapes, then covering them with a Band-Aid or bandage—leaving them alone to heal after a few days. This isn’t the most efficient way to get a minor abrasion to heal, however. The best thing to do is to wash a wound with soap and water immediately, and change bandages two times a day. At night, put a more loose bandage over the wound so it can be exposed to the air. Keep the wound dry while it’s healing. First aid doesn’t have to be scary—and it won’t be, if you stay away from the common misconceptions out there. Take a class in first aid, learn the basics, and you’ll be able to respond effectively to many different types of injuries and emergencies as they occur.